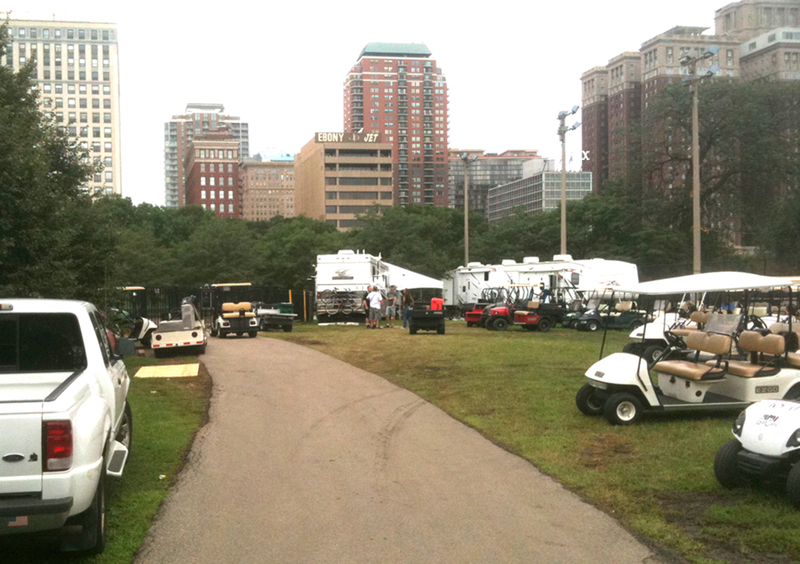 The Golf Carts and RVs have already invaded the space north of the park. The dog area, tennis courts and skate park will not be available during Lollapalooza. This area will open up after Lollapalooza is completed. From my understanding, Friday, August 5 – Sunday, August 7th during Lollapalooza. Hello South Loop Dog PAC Members! of amenities within Grant Park. Kiddie Pools at GBP? Survey results are in! How big are Chicago Dog Friendly Areas?